To unfold the mechanism of grinding, it is understood that the grinding wheel ground the object to provide its desire shape, and as a result finished object is found. A rotating abrasive wheel is used to finish the job. Simply the grinding wheel geometry transferred to the objet. For many manufacturing processes, integrated parts must be stand with perfect measurements. 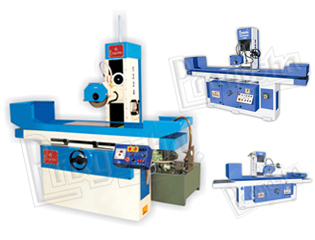 Surface grinder machines are used in various industrial sectors to get precise shape of an object. Desired or custom shapes with proper finish can be achieved with highly prompt manner with perfect and exact end product. It is suitable for different materials like cast iron, mind steel, brass, aluminum, some plastics and stainless steel and many more.